Eurico is a pioneer in shifting paradigms and organizational cultures, and identifying and developing leadership talent. He focuses on business transformation, through effective leadership. He is a strong believer in mental preparedness, knowing what you can and can’t do, exploring ways of learning, imagining and creating new and better futures. He firmly believes that business leaders need to create businesses that provide an effortless quality experience to their customers. Business Sculpting™ is the process and philosophy that he developed. Business Sculpting™ involves: i) looking at the present from the future vs the traditional ”from the present to the future” approach; ii) removing constraints (structures, systems, routines, thinking, etc) that have built up over time, in order to free people to have time to think and do and thereby unleash their potential), and; i) preparing the minds of leaders to create enduring enterprises. Eurico’s main areas of speciality include: organisational design; changing and/or challenging leaders’ business paradigms; assisting executives, shareholders, and directors to transform their enterprise to a healthier status for the onslaughts of customer expectations competitors; strategy development; change management; out-of-the-box thinking; innovation and finding creative business solutions. He also worked with Roger Stewart to create Real-Time Case Studies© – a practical method of business learning that is used extensively at the University of Stellenbosch’s executive business school. Eurico is also a part-time lecturer at the UCT Business School on topics within his specialist fields. He has served prominent clients in the industries of agriculture, agro-processing, food processing and preparation, IT and software development, motor, property development, building and construction, production, hospitality and healthcare. Eurico is a founding member of Business Sculptors. 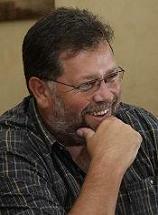 Eurico obtained a Bachelor of Economics degree from Stellenbosch University (1984). He is an Associate, Member, Fellow and/or Registered Practitioner of the following associations/methodologies: Spiral Dynamics; Spiral Value (Richard Barrett); DISC (Thomas International); BIOSS Custodian; Global Organisational Design Society; The Leadership Circle (Bob Anderson); CultureStrategy-Fit; OD Network (USA and RSA).